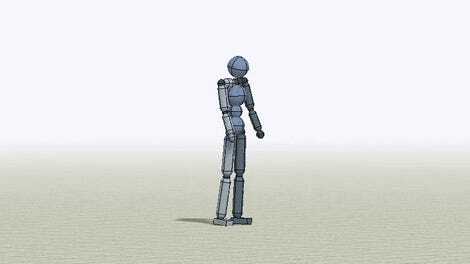 so that at least the most sophisticated autonomous robots could be established as having the status of electronic persons responsible for making good any damage they may cause, and possibly applying electronic personality to cases where robots make autonomous decisions or otherwise interact with third parties independently. The parliament said the law would apply to “smart robots,” which it defined as robots having the capacity to learn through experience and interaction, the ability to acquire autonomy through its sensors, the capacity to adapt its behavior and actions to the environment, among other criteria. By virtue of this proposal, the EU is responding to rapid advances in robotics and AI, and the potential risks imposed on humans and human property. The fear isn’t a robot uprising (at least not yet), but more mundane risks, such as autonomous vehicles and drones accidentally smashing into people, a factory robot crushing an absent-minded worker, or a Roomba giving your cat an unexpected shave. As we venture into this brave new world of ubiquitous robotics and AI, it’s an open question as to who will be liable for these sorts of mishaps. Should we blame the manufacturer? The owner? The bot itself? Or should it be some combination of these? The EU is understandably worried that the actions of these machines will be increasingly incomprehensible to the puny humans who manufacture and use them. The resulting “black box,” it is argued, will preclude us from understanding what exactly went wrong and who should be liable. Electronic personhood, the EU Parliament believes, is the solution to this problem. To be clear, the EU doesn’t want to imbue robots and AI with human rights, such as the right to vote, the right to life, or the right to own property. Nor is it wanting to recognize robots as self-conscious entities (thank goodness). Rather, this measure would be similar to corporate personhood—an agreed upon legal fiction designed to smooth business processes by giving corporations rights typically afforded to actual persons, namely humans. It’s similar to recent efforts in which parts of the natural world, things like rivers and forests, are also being granted personhood status, also for legal reasons. Electronic personhood would turn each smart robot into a singular legal entity, each of whom would have to bear certain social responsibilities and obligations (exactly what these would be, we don’t yet know). Under this provision, liability would reside with the robot itself. We wouldn’t be able to throw a machine in jail, but we could require all smart bots to be insured as independent entities. As noted in Politico, the funds for a compulsory insurance scheme could be provided by the wealth the robot accumulates over the course of its lifetime (if the robot is being used to accumulate wealth, that is, such as a factory robot). The EU says electronic personhood is not about granting human-equivalent rights to smart robots and AI, but rather the introduction of a special legal designation that recognizes them as a special class of machines—but one requiring human backing. If this sounds confusing (i.e. how can a standalone, independent entity still require “human backing”), it’s because it is. The EU proposal is sufficiently vague on many of the details, but if it’s anything like corporate personhood, it could introduce an array of complications. In the United States, for example, corporate persons can sue or be sued, enter into legal contracts, and be regulated at the level of a single entity—while at the same time protecting the individual owners and employees from liability. Does that mean, therefore, that manufacturers and owners of robot persons would likewise be absolved? It’s for this reason, among many other concerns, that 156 experts felt the need to sign an open letter to the European Commission responsible for the proposal. The signatories of the letter, including legal expert Nathalie Nevejans from the CNRS Ethics Committee, AI and robotics professor Noel Sharkey from the Foundation for Responsible Robotics, and Raja Chatila, the former president of the IEEE Robotics and Automation Society, agree that laws are required to keep humans safe in era of sophisticated machines. But they take exception to the claim that it’ll be impossible to prove liability when self-learning, autonomous machines do something bad. “From a technical perspective, this statement offers many bias [sic] based on an overvaluation of the actual capabilities of even the most advanced robots, a superficial understanding of unpredictability and self-learning capacities and, a robot perception distorted by Science-Fiction and a few recent sensational press announcements,” write the signatories in the letter. The authors also say it’s inappropriate to base electronic personhood on either preexisting legal or ethical precedents. Kate Darling, an expert in robot ethics at Harvard University who wasn’t involved with the open letter, said it doesn’t make sense to give robots electronic personhood status at this time. Seth Baum, a researcher with the Global Catastrophic Risk Institute—also not affiliated with the open letter—believes in principle that robots and intelligent machines have the potential to merit personhood, and he said he’s “pleasantly surprised” that governments are even considering the idea of electronic personhood, saying he would have expected them to be a bit more “human chauvinistic.” That said, he is urging governments to not rush into this. In terms of whether artificial persons can exist, LaBossiere says there’s no compelling reason to think that the mind must be strictly limited to organic beings. “After all, if a lump of organic goo can somehow think, then it is no more odd to think that a mass of circuitry or artificial goo could think,” he said. “For those who think a soul is required to think, it is also no more bizarre for a ghost to be in a metal shell than in a meat shell.” In terms of telling when personhood status should be granted, LaBossiere said we should use the same tests we use to solve the problem of other minds when it comes to humans. “If an artificial being can pass the same language and behavioral tests as a human, it should get a presumption of status,” he said. 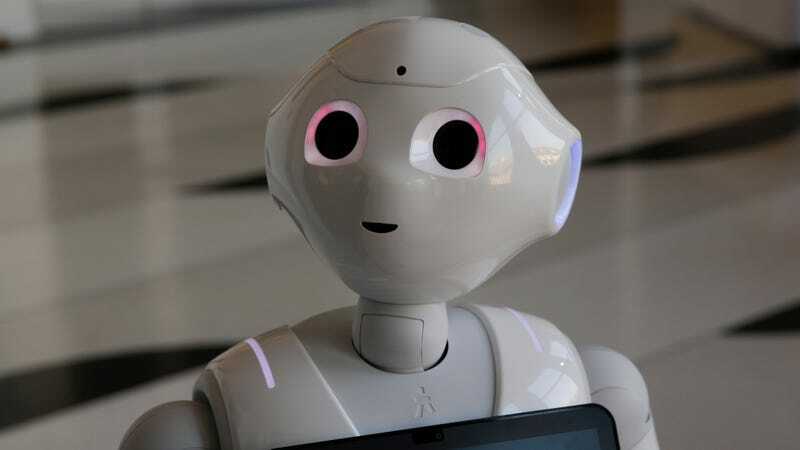 Sociologist and futurist James Hughes of the Institute for Ethics and Emerging Technologies agrees that robots may eventually deserve personhood status, but he’s worried that the language in the open letter rules this out as a possibility. All of the experts we spoke to said it’s still way too early for the EU to be passing such laws, but there’s another consideration to think about—one hinted at by the authors of the open letter. To be clear, and as LaBossiere pointed out, this doesn’t mean robots shouldn’t or won’t eventually qualify as bona fide persons. If they ever become self-aware, conscious agents, it would be hypocritical and unfair of us to deny them personhood status. But for now, we’re still far off from that critical point in our history. The granting of personhood status to robots today may sound like a clever legal trick, but it’s actually intellectual laziness. When it comes to protecting humans and human property from robots and AI, we should come up with something more sensible. Something actually based in reality.